Back on the promo trail for Mission Impossible: Fallout which is in theaters now, Angela Bassett made an appearance on Nightline to discuss the film yesterday(July 29th). Her stylist Jennifer Austin posted her look via her instagram page. 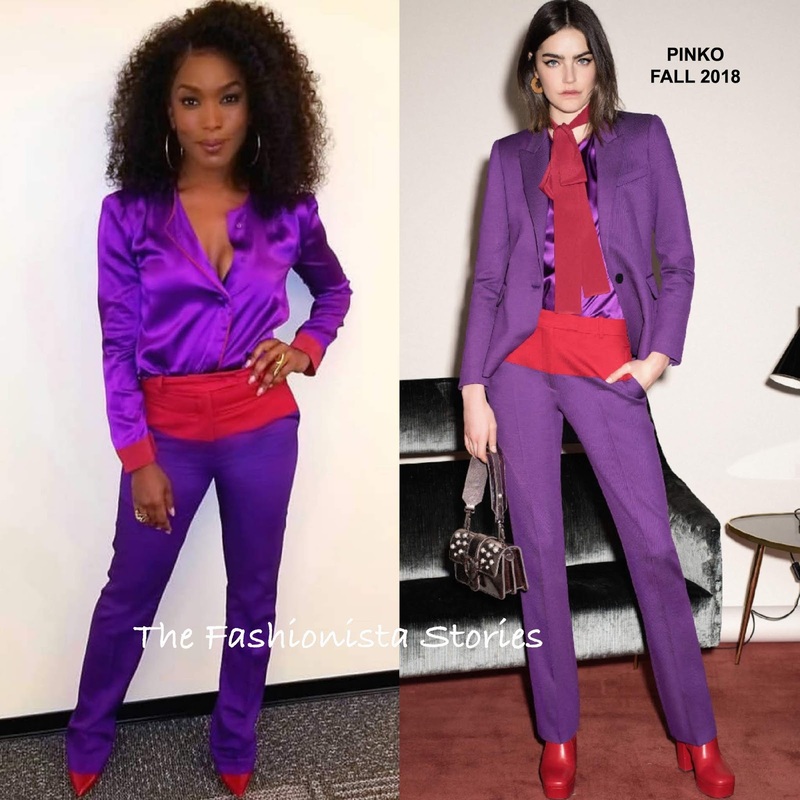 She posed for the gram rocking a PINKO FALL 2018 purple silk shirt with contrasting fuchsia pipping & cuffs and fuchsia & purple trousers. The fuchsia panel looks a bit odd and I wish the pants were hemmed. However I love this purple & fuchsia combo on her and how she takes fashion risk. A flawless beauty look, JLANI jewelry and CASADEI fuchsia pumps topped off her look. Are you feeling Angela's instagram style?